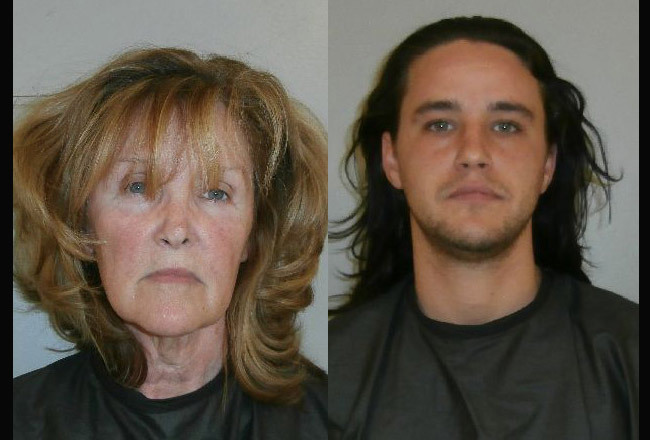 LaJuana D. Goggans and her son, Daniel Goggans, both arrested in the aftermath of a shooting incident on Leidel Drive in Palm Coast. The following incident and arrest information was compiled using official documents, reports and affidavits obtained from government and law enforcement agencies. This feature is not inclusive. It is a sampling of reported incidents in the Flagler County area. Note: The U.S. legal system provides the presumption of innocence to those charged with a crime until guilt is proven in a court of law. The previous crime report is available here. The Flagler County Sheriff’s Office is asking for the public’s help in identifying two women believed to be connected with the April 3 break-in of a Palm Coast home at 1 Egan Drive. Deputies responded around 4:44 p.m. after the homeowner reported there had been an attempt to enter his house. Deputies said a home surveillance video shows the two women, possibly white or Hispanic, approaching the home at 2:48 p.m., just minutes after the homeowners left the residence. The two first rang the doorbell and when there was not answer, they walked around the back of the house, entered the screen porch and attempted to gain entry through several doors. When the two found all the doors locked, they began to pry one set of doors open. When the door popped, the home alarm was triggered, causing the two to run from the scene. Both women were picked up by a large, black sport utility vehicle, possible a 2005 Infiniti QX56. The vehicle had a luggage rack on the roof and chrome trim panels along the middle of the doors on both sides. Anyone with information is asked to contact the Sheriff’s Office Investigative Services Division at (386) 586-4081 or Crimestoppers at 1-888-277-8477 or text 274637 with your message. You may remain anonymous and you may be eligible for a reward of up to $1,000. The call came in the afternoon of April 2, at 65 Leidel Drive in Palm Coast, about a domestic physical diturbance between Daniel Goggans, 27, and the victim, Franklin Goggans, 31, who is Daniel’s brother. While en-route a deputy was informed by communications that shots were fired during the altercation by Franklin, who had left the residence in a black Dodge truck. During questioning Franklin said he may have shot Daniel in the foot but was unsure. An injury was observed to the outside of Daniel’s right foot but he declined to say where the injury came from and remained uncooperative, according to the police report. Daniel was placed under arrest. Franklin was taken to the Sheriff’s Office’s investigative division for further questioning. Daniel was charged with aggravated assault-domestic violence. He was released on $2,000 bond. The story did not end there. During the incident, the two brothers’ mother, LaJuana Goggans, 55, was on the front lawn yelling at her sons to stop fighting. In her statement, Lajuana Goggans stated that “the boys were not fighting, but I was afraid they might.” In her written and verbal statements, she denied the presence of any weapons at the disturbance, and stated that the two brothers never fought. For lack of cooperating and making a false report to law enforcement, a police report states, she was placed under arrest for making a false report to a polioce officer. She was released on $500 bond. A neighbor who lives on side A of the duplex told police that while he stood inside his kitchen–he was babysitting three 5-year-old children–he heard yelling and screaming next door. He heard a woman’s voice yell, “You’re not supposed to be here!” He then heard a males voice yell, “I’m-a kill everybody!” The neighbor became concerned for the residents next door and exited his front door. At the same time Reifinger appeared. The neighbor told him the property, as he was scaring his children. Reifinger then threatened the neighbor, saying he was to provoke him into a physical fight in the street. The neighbor declined, and again asked him to leave. “Thomas was at this point standing in the middle of the street with his hands raised continuing to provoke [the neighbor], saying, ‘Lets GO! Round 1!’ Thomas continued yelling at [the neighbor], yelling and cursing; calling him derogatory terms including racist words.” The taunts escalated, Reifinger approached the neighbor aggressively, at which point the neighbor “defended himself by striking Thomas once with a jaw with his fist. Thomas then fell backwards onto the ground.” Reifinger refused medical treatment. He was placed under arrest for assault and disorderly intoxication, continuing to scream and talk to himself while sitting in the patrol vehicle. 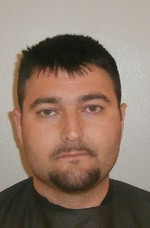 He did so at Florida Hospital Flagler, too, where he received treatment before being taken to the Flagler County jail. 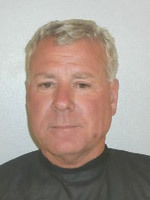 William Gardella, 55, owns a black Ford Explorer and lives at 32 North Village Parkway in Palm Coast. He was stopped at the main gate of Grand Haven the evening of March 30, at 9:30 p.m. William DeMott, 63, a resident of River Trail in Palm Coast, pulled up behind the black SUV in a white Dodge Challenger, and waited. After a few minutes DeMott observed the rear back-up lights of the black SUV come on, consistent with a driver putting the car in reverse. Demott immediately placed his car in reverse and honked the horn. But before he could back up, his vehicle was struck by the black SUV causing the front bumper to be cracked and broken. DeMott exited his vehicle and made contact with the driver of the SUV. He recognized Gardella from a previous real-estate transaction. DeMott, according to a police report, said Gardella stepped out of his vehicle and asked DeMott if he would follow him back to his residence, where they would take care of the incident without involving the police. DeMott then observed the defendant Gardella to be intoxicated, accordinmg to the police report, and said it would be best to wait for law enforcement. Gardella then said he needed to go urinate and walked into the wood line. He never returned to the scene of the crash. Gardella was then located at his residence, where he told police he knew of the crash, and knew DeMott. advised he knew of the crash and even knew DeMott. maintaining the patrol vehicles. This move is aimed at reducing our costs through consolidation with the county which also has a significant amount of vehicles to maintain,” Manfre said. Cost savings are expected to come through standard purchases of such items as vehicle fluids, replacement parts and tires for the vehicles. A resident at 17 Pontiac Lane in palm Coast reported a theft of his medication that had been dropped at his door by the mailman. The theft was reported on April 3. An infrared camera and wiring for it reported stolen at 45 Faraday Lane in Palm Coast on April 3. A Matanzas High School student reported her cell phone stolen from a classroom, where she had left it, on April 3. $230 in cash reported stolen at 47 White Star Drive in Palm Coast while the homeowner was at work on April 3. Two X-Box units, a laptop and other electronics reported stolen at 22 Bren Mar Lane B in Palm Coast on April 3. Mongoose bicycle reported stolen at the Dollar Tree on State Road 100 in Palm Coast. Digital camera, cell phone, rifle and a box of bullets reported stolen from a house at 2910 Beech Boulevard in Bunnell on March 27. 2006 Jeep Wrangler bearing Florida tag # ARNN27 reported stolen from 7 Zoeller Court in Palm Coast the morning of March 29. Two bicycles reported stolen behind Rent-A-Center in Palm Coast on March 30. Dylan M. Flynn, 21, 3905 Tano Drive, Ormond Beach, on April 6. John Doe, actual identity and age unknown, on April 6.